Discussion in 'iPad Accessories for iPAD 1, 2 and 3' started by DoingOK, Aug 19, 2010. My fifth iPad case came in today. I thought it was unique looking so I figured I'd give it a try. Pretty basic, with a leather strap and leather "button" to act as a stand. Aged leather case is well made. but if the case with built-in keyboard,i think it is will better .What do you think? I just bought a BookBook case last week too and I love it. I get so many comments about it. Only thing that bugs a little - i feel like the top (the end that has the elastic strap) sets closer to the zipper than the other end. Sometimes the zipper even wants to slide under it. 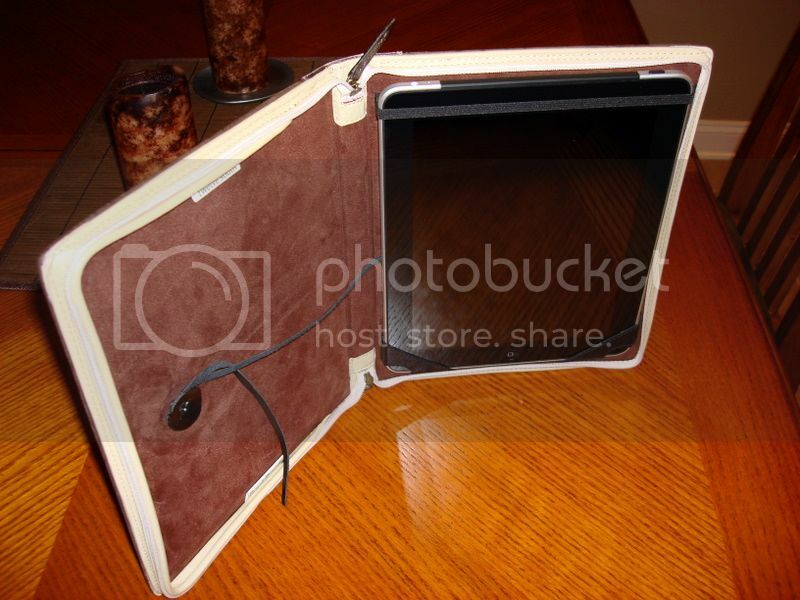 I wish there was a little more space between the top of the iPad and the zipper. Does yours fit the same? I'd still buy this case again in a minute! 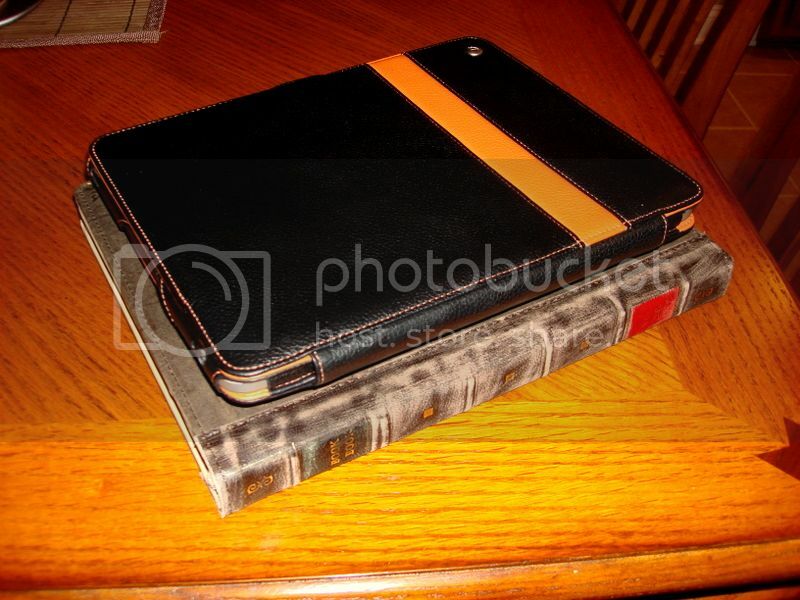 I have the red and brown version - it's so nice looking and tactiley it feels great - my sleek tech encased in leather and soft suede. I love it . Im interested! How is the padding? If it falls, can it withstand the shock? It seems to be a Book! Great Case mate, but I love the one that has an Apple! Yes, it would protect it. (As much as any folio cover would.) 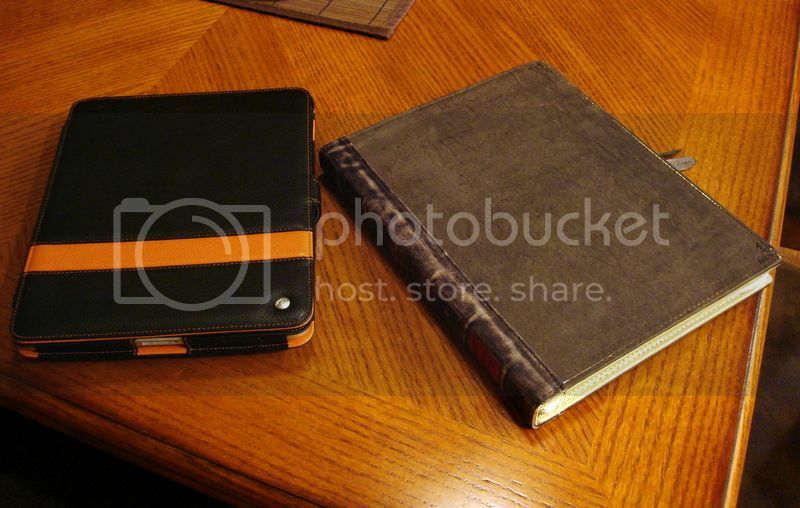 It has soft padding on the inside of both covers; also if it is zipped shut there is protection from the zippered case. I really can't say enough about how cool this case is!